Ready to show your wild side? While leopard and zebra are the most known and worn animal prints, they are not the only ones. Why not go a bit more exotic with a giraffe print. Go wild with these Luichiny Jam Ming Boots, a faux-suede giraffe-print ankle boot with a towering 5" brown faux leather wrapped wedge heel with 1" hidden platform. The uncommon print will surely have eyes on you and every step you take. 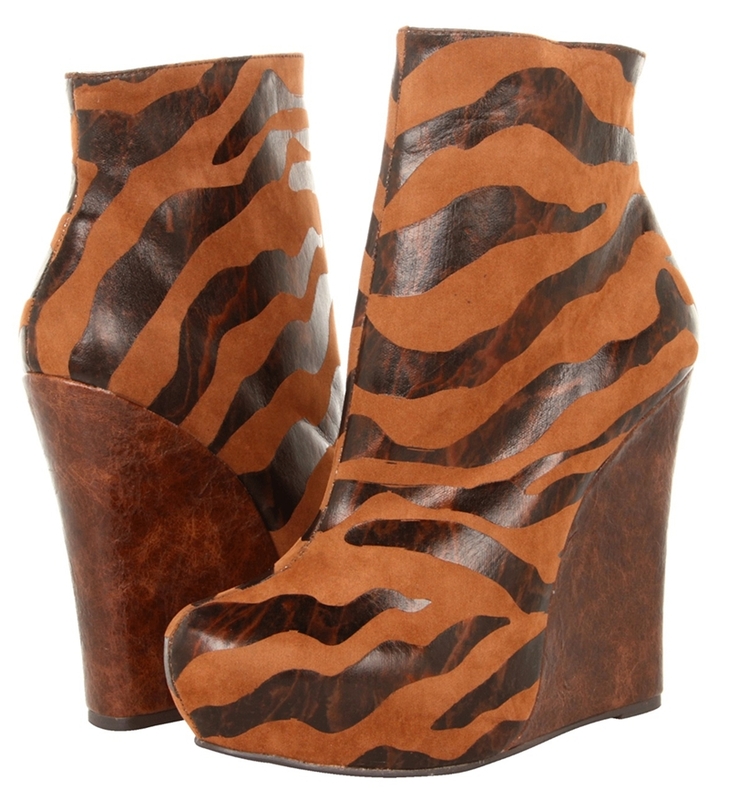 Enjoy rocking these in the concrete jungle ladies.